This is the fourth volume in Sofawolf Press’ Artistic Visions series of art-sketch format albums, each showcasing one of the best artists in furry fandom. 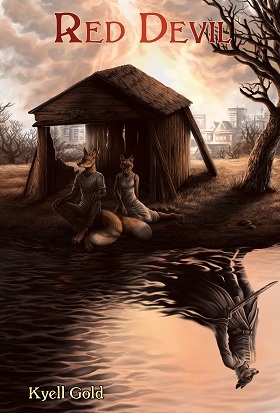 Each is a professional artist, but is especially well-known in furry fandom for convention conbook covers, badge art and other commissioned art, and trades with other Furry artists; many of which are posted on DeviantART, Fur Affinity and other art websites. The art in these albums emphasize anthropomorphized-animal cartoons and similar humorous work, rather than realistic animal depictions. 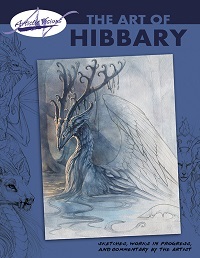 Other Artistic Visions albums have showcased the work of Hibbary (Hillary Leutkemeyer), Brian and Tracy Reynolds, Kenket (Tess Garman) and Ursula Vernon. These are all American artists. The Art of Henrieke is the first to feature a European artist. Henrieke Goorhuis, a Dutch artist born in 1990, has become very popular in just the last five years for European Furry convention art and T-shirts, commissioned art featuring fans’ personal icons and for commissioned art for European zoos. Her most popular character is her own cartoon icon, Kiki the ring-tailed lemur. Good artbooks speak for themselves. 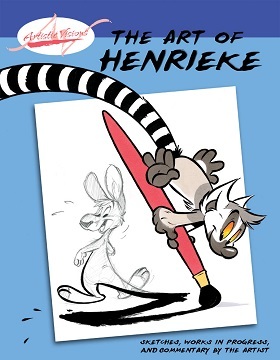 Almost every page of The Art of Henrieke: Sketches, Works in Progress, and Commentary by the Artist is crammed with sketches and finished line art. St. Paul, MN, Sofawolf Press, January 2014, trade paperback $14.95 (75 [+ 1] pages). Sofawolf Press have announced that Caterwall, a new full-color young adult graphic novel by Spain Fischer, will be arriving this summer. Originally announced last spring, this sword & sorcery tale follows the adventures of Pax, a feline would-be adventurer. Pax is “ the orphaned son of the kingdom of Katia’s greatest knights. His family name and reputation has been tarnished, however, and Pax is to blame. When the young cat intercepts troubling news from the neighboring kingdom of the dogs, Dewshire, his warnings fall on deaf ears. Banished from Caterwall after insulting the Dewshire diplomat, Pax must decide if he will try to stop the dangerous tide approaching Caterwal l– or turn his back on the home which cast him out.” The story will be told in a series of three 100-page graphic novels. We’ll admit to some confusion regarding the web site for this project. Some promotional posters released at Further Confusion and elsewhere give the web site as www.caterwall.net, which leads you to a “Coming Soon” page with an illustration. More actual information, however, can be found at www.caterwall.com, which includes artwork and background write-ups. Isiah Jacobs: Good evening, Ray! Thank you so much for coming on! It's nice to have you on the show! RayFKM: Pleasure to be here. Isiah Jacobs: You have a story in Heat 9 that you titled "Stupid". Could you please tell me a little about this story? RayFKM: Oh, yeah. It's the story of a lonely guy who wants to find some love... and does not matter how! Isiah Jacobs: And this guy is straight, but he convinces himself to be gay just for sake of companionship, is that correct? Isiah Jacobs: Why did you decide on this story? Isiah Jacobs: Hello again, Tempo! Welcome back to the show! It's been too long! 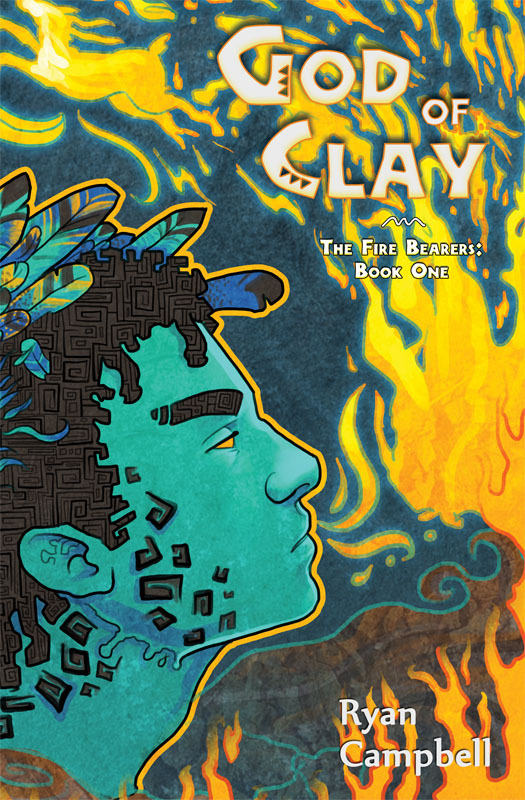 Isiah Jacobs: So, you have a story in this year's publication of Heat. And you were actually able to get it illustrated by Blotch! Isiah Jacobs: That's the one with Drust tied to a tree or something, right? Isiah Jacobs: Good evening, Ms. Dryden, thank you so much for coming on! Huskyteer: Thank you for inviting me! 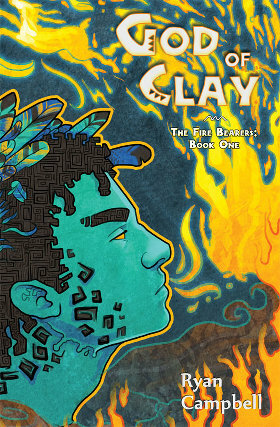 Isiah Jacobs: You submitted a story to Heat 9 this year, and it was illustrated by Cara Mitten. Unfortunately, she couldn't join us. Huskyteer: I should confess I haven't got my mitts on my copy of Heat yet, so I haven't seen the illustrated version. I hope it gets through Customs. Sometimes stuff from the US arrives in a matter of days, sometimes it...doesn't. Isiah Jacobs: Your story is called "Bad Timing." Could you please briefly explain what your story is about? Isiah Jacobs: Good evening, Kandrel, Scappo. Thank you both so much for coming on to the show. I really appreciate this! Kandrel, I understand you submitted a story to this year’s volume of Heat and Scappo, you provided the illustrations. Have you two heard of each before you were brought on to do Heat? Kandrel: Yeah, I had definitely heard of Scappo before. I tend to try to keep my eye on good artists. Mainly because I like collecting art. Usually I recognize most of the artists that are up and coming by name, if not by their style. Scappo: Well, I’m glad you like my art! Heh. I had never heard of Kandrel before, but that’s usually because I’ve got my head buried in commissions. So I don’t really have a whole lot of time to read. But I did read and enjoy “Better”. I think it’s one of the better stories that I’ve read. Isiah Jacobs: Alopex, thank you so much for coming on! It's a pleasure to have one of the Sofa Wolves here! Isiah Jacobs: I agree! I see interviews featuring films and you mostly see the actors. You never see the minds behind the magic, like the writers, the producers, the directors, etc. Alopex: That's what the director commentary tracks are wonderful for...at least with films. Isiah Jacobs: There is your "Afterglow" with Heat, but you're only given so much room to express your thoughts. Isiah Jacobs: And we'll be getting to that in just a bit. This is the ninth instalment of Heat, and the range of the authors and illustrators in this volume is amazing. Do you feel that you've come a long way since the first issue?